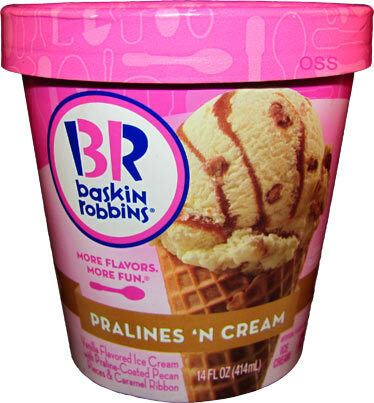 [By Nick, new for 2014] It's been awhile since we've looked at these new grocery store Baskin-Robbin's faux pints so let's get the promising sounding Pralines n' Cream up next. You know the drill, I love caramel and I love pecans. So this should be an easy win for me right? Well there's only one way to find out! The ice cream looks good from the get go. Let’s skip pleasantries and scoop this one up. Is this container loaded with the aforementioned mix-ins? YES! And boy do they deliver. The vanilla base is your standard affair, nothing out of the ordinary. 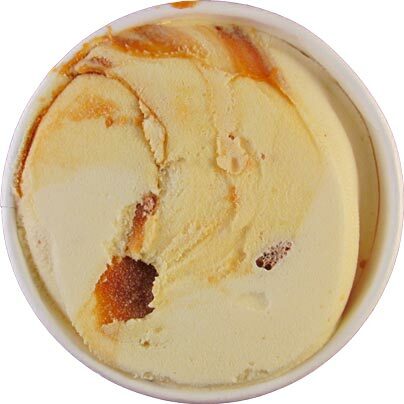 The ice cream is almost to the super premium in quality but the flavor is your run of the mill vanilla. It's basically just a middle man for getting the mix-ins in to your mouth. The caramel is sweet but not cloyingly so. It actually helps to bring out the more floral aspects of the vanilla base which to be honest I wasn't expecting. It also has a gooey, stringiness quality that is becoming more and more rare which I appreciate. The pralines add for a nice crunch as well as a sweet and salty component. For some reason companies have a hard time pulling off a pralined pecan. It's that added layer of sweetness that allows for the saltiness of the nut to shine through. Sure this is a simple flavor but it's a simple flavor executed properly. It’s not trying to be anything other than what its description is. Sometimes in life you have to go with something safe yet satisfying and that's what you get with this ice cream. This is easily my favorite of the faux-pint line I've tried so far and right behind the World Class Chocolate Bars. If you see this one, give it a scoop. I've never really understood what pralines and cream was but thanks to your review I may have to try one out. 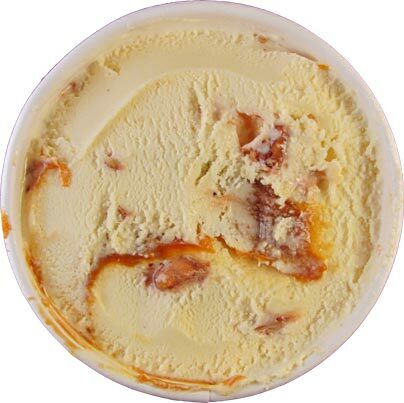 Alexis, for the most part pralines and cream tends to be vanilla ice cream with pralined pecans and caramel. 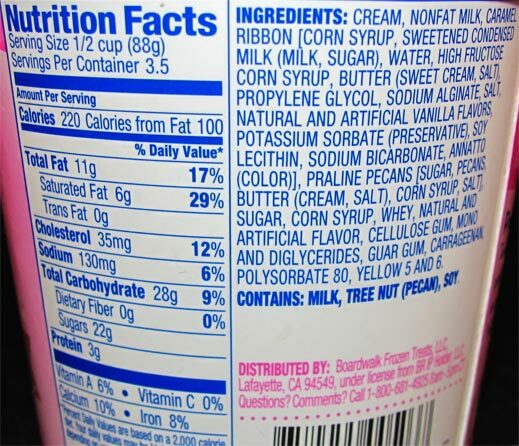 I've seen other nuts such as almonds that have been pralined used but the vanilla and caramel are always a standard. I can't wait to try this one! It brings back such good memories I have from the 80's eating this flavor from the store. I know it won't be quite the same but will probably still be enjoyable. Anon, be sure to let us know what you think! Best ice cream in the whole world! Seriously, none better.